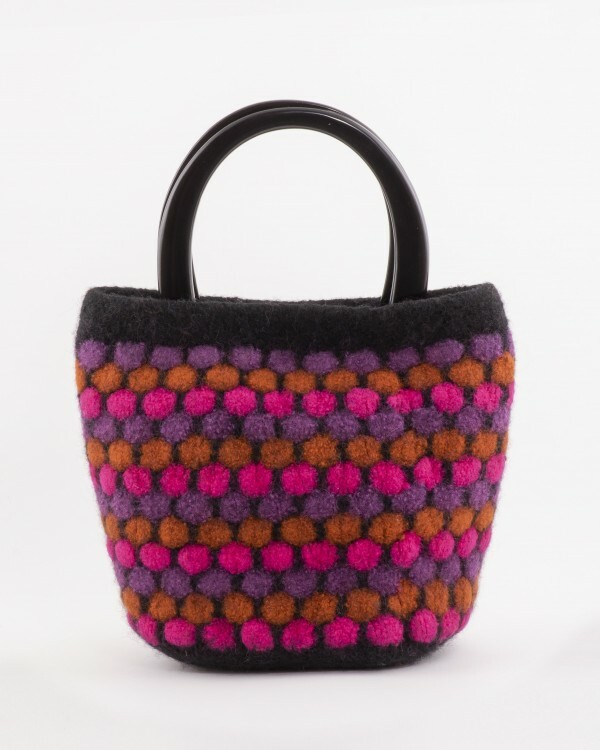 Each of Mette's handbags is hand knitted in 100% wool and then felted. Mette felts her knitted handbags by washing them multiple times in hot water, until the wool transforms into a sturdy, durable material. After the handbags are felted, they are stretched, blocked, and trimmed. 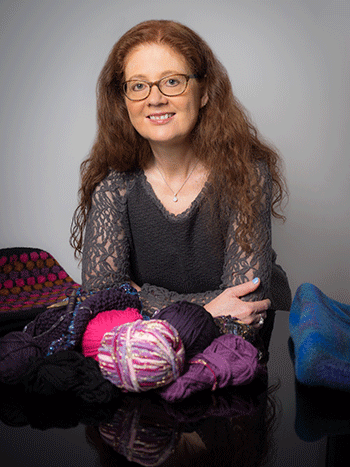 To create innovative textures, looks, and color combinations, Mette often knits non-traditional, non-feltable, fibers into the wool base of her work. Sometimes Mette also adorns her handbags with vintage or second-hand brooches. This up-cycling of brooches contributes to making Mette's handbags particularly unique and eco-friendly. Mette's handbags are lightweight, durable, and knitted with no seams. Hours of care and attention have gone into making these exclusive pieces of wearable art.